A toast to another new lepaking place in Melaka. 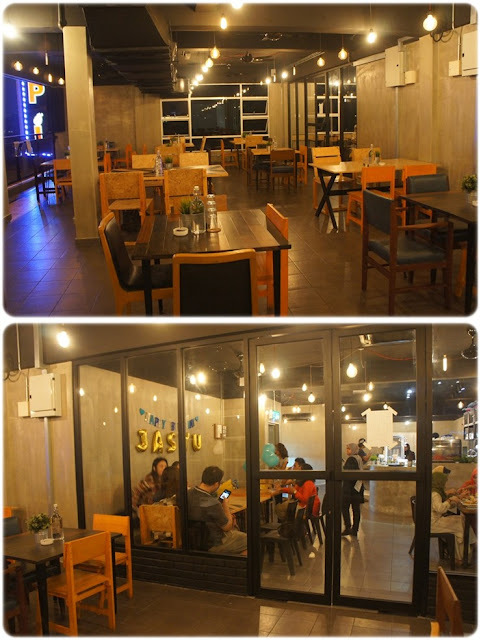 This time around, this cafe/restaurant is formed by a group of young malays. Therefore this place is of course 100% halal. In my opinion, I think Grind Shack and Billionaire's boss are the same person/people? Correct me if I am wrong. Or maybe Grind Shack is still undergoing certain renovation and hence they are currently using Billionaire's space temporarily. Anyway, you can have both ice cream and western meal at Billionaire. The place is actually right opposite of AEON a.k.a 'new jusco' (orang melaka selalu differentiate AEON as old Jusco and new Jusco) hehehehe. The surroundings are clean, spacious and comfortable. The staffs are very friendly too. I've wanted to visit this place for quite some time already. Was waiting for the boyfie to fly over and teman me. 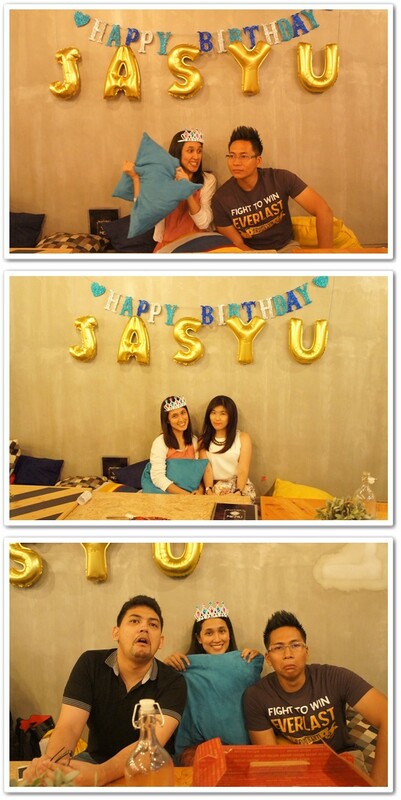 Fortunately, Jasyu's birthday party was held here. So I did my visitation earlier than expected. The surprise part was quite funny. 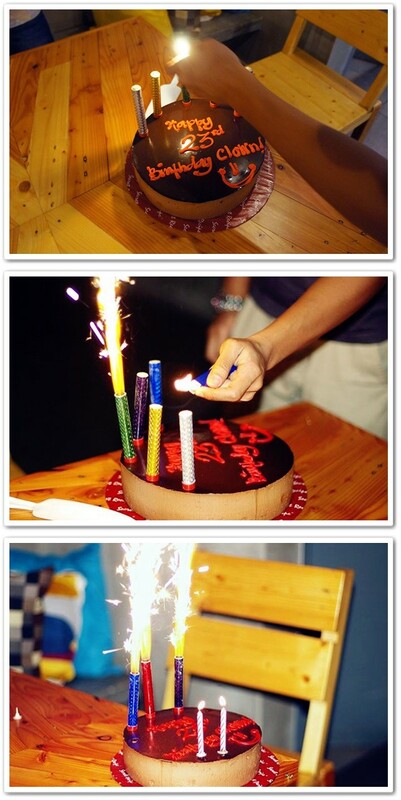 We wanted to surprise her with this 'fireworks candle' and we thought that it will last long. Before the birthday girl arrived, the fireworks already died. Lucky thing Nazreen bought few packets. Lesson learnt. Light up the fireworks candle only when the birthday boy or girl arrives. Price was quite affordable just like any other cafes. Our OOTD for that night. 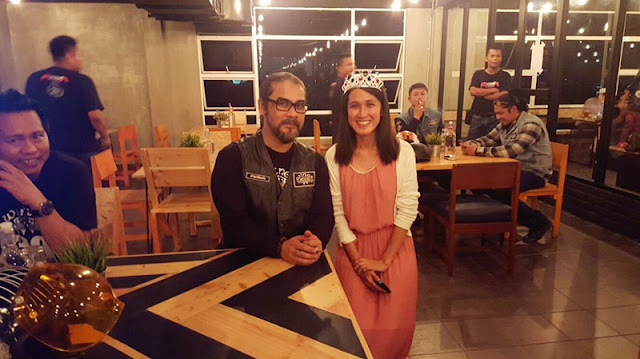 We were pretty lucky that night because apparently Awie from Wings (popular malay band) was there too. They were having some fan meeting kot. We didn't know about it, not until it was almost around 9pm whereby the staffs started hanging banners all around. That's when we knew that 'ohhhh artist nak datang'. He even sang a happy birthday song for Jasyu. Such an unforgettable birthday celebration.